The biggest problems facing collections today are almost certainly posed by reductions in funding. The financial support for museums of all sizes has been decreasing every year, with jobs being lost and stored collections often bearing the brunt of cuts, since they are usually out of sight and therefore out of mind for many decision makers. Hidden treasurers? Specimens in storage can be overlooked by decision makers in favour of public-facing elements of museum business. NatSCA has been to trying to keep track of threats to collections and offer our support in an effort to make the vital role of collections, and the people with the skills to care for them, more clearly recognised by management. Much of this work in the UK has been alongside our colleagues in the Geological Curators Group. The first issue of our new online publication NatSCA Notes & Comments provides a case study of decline from the Midlands, written by Geoffrey Hall. Although the picture painted is bleak, there have been some small wins, as Ludlow have since acknowledged the importance of maintaining a geologist to manage their globally important geology collection. 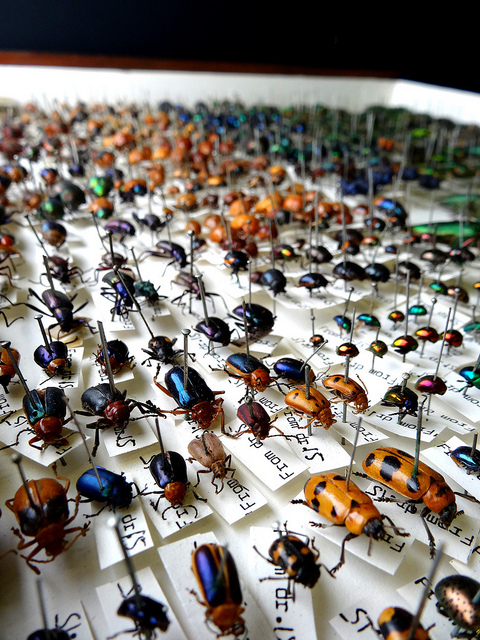 We have also been looking at the wider societal role of collections and have been working to raise their profile at a variety of levels, including internationally, alongside the Society for the Preservation of Natural History Collections. Our message about the importance of collections is being heard by a wider and more influential audience, something that is reflected in this week’s Nature, which features an article about the importance and decline of collections.